Yesterday, Small Business California sent out a press release asking the Governor to hold a meeting with SBA Administrator Karen Mills, the Office of the Comptroller, the FDIC, the Federal Reserve, the California Department of Financial Institutions and bank representatives. See below. Our request has been made through Mike Rossi the Governors Economic Development Czar. The second piece below from The Hill has SBA Administrator Karen Mills saying that Washington regulations are being interpreted more tightly at the Regional level which is why Small Business California has requested the Governor hold this meeting. "32 Examples of Businesses Reducing & Eliminating Gasoline Use As They Drive Toward A Better Bottom Line"
The publication has two objectives. First, it shows examples where businesses have invested in long term improvements that offer a rate of return which increases profit for the business over the long haul. Even a 10 percent rate of return on these improvements is often double or triple what the business returns as a net profit. Second, these examples and the suggestions from the business owners you’ll read about are meant to show how other businesses can learn from and improve on these smart business improvements. These are not “one off” demonstration projects. Finally, the focus for these examples is on smaller firms, mainly those with 100 employees or less. While larger companies demonstrate many valuable innovations and their buying power can serve to help develop economies of scale, our focus is on inspiring the millions of smaller firms to use the examples in this publication along with the ingenuity they must bring forward every day to increase their profits. In this way, America’s small businesses will form the foundation of a stronger and more secure economy for everyone. 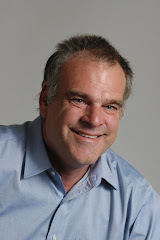 I received an email from SB Cal board member, Stephen Cornell, regarding changes in California Unemployment tax. Please note the decrease in tax credit from 5.4% to 5.1%. See below for link to article. Are any of you aware of the lending programs available to California small from the state? In a future email I will talk in more detail about what is available but at this point I am I am trying to judge awareness. Has your banker ever talked to you about these? Suffice it to say there are programs including a loan guarantee which may be helpful to you. This is a follow up to the question of how California will pay its outstanding $2 plus billion in outstanding federal loans for the Unemployment Insurance fund. The federal government has said to California, you haven't paid your loans back, so we will reduce the amount of credit each employer can take in calculating its obligation for Federal Unemployment Insurance payments (Form 940). The new rates go into effect on January 1, 2012. I hope you all had a great Thanksgiving! On November 8th, Biz2Credit released their Small Business Lending Index. They did an analysis of loan approvals for 1,000 loan applications in October and found that small banks approved 46.3% , big banks[institutions with $10 billion plus in assets] 9.2% and alternative lenders[credit unions ,Community Development Financial Institutions, micro lenders and others] 61.5%. The Index identified the Top 5 reasons why small business borrowers have not been received funding. 2. Profitability has declined at more than 86% of small businesses over the last 2 years. 3.Bank underwriting criteria is stricter now than in 2010 when stimulus money was flowing. 4.Uncertainty among big banks is leading to increased dissatisfaction among small business owners. 5. Avoidance: small business owners believe they are unlikely to get loans and that the process takes too long. I hope all of you are promoting Small Business Saturday. I hope you are able to use this to promote your business. Please see email from SBA below. WASHINGTON – As a proud supporter of Small Business Saturday®, a day dedicated to supporting small businesses on one of the busiest shopping weekends of the year, the U.S. Small Business Administration is encouraging every American to support small businesses by doing some of their holiday shopping on the Saturday after Thanksgiving at small businesses. This year’s Small Business Saturday® is Nov. 26, 2011. Nov. 26 marks the second annual Small Business Saturday®, a day to support the local small businesses that create jobs, boost the economy and preserve neighborhoods around the country. First there was Black Friday, and then Cyber Monday, and now Small Business Saturday® will help drive shoppers to America’s job creators. Small businesses have generated two out of every three net new jobs over the past 15 years and employ over half of all private sector employees. For more information on how to support Small Business Saturday® in your area, or to get great Small Business Saturday® marketing tips and resources, check out www.sba.gov/saturday or visit Facebook.com/smallbusinesssaturday and follow us on Twitter @SBAgov, #SmallBizSat. Today, I just recieved a letter from Ellen Widess at OSHA. Please click the link below (or copy and paste) and let me know what you think. Yesterday, I was contacted by a Financial Staff Writer at the LA Times. He indicated that he had been contacted by some small business owners indicating that one major bank was imposing maturity dates on longstanding lines of credit that had never had them before. He indicated that they did have high balances on the LOCs, but had never missed a payment and the demands for full repayment had created some real problems for these businesses. Interestingly enough, I have also been contacted by small business owners on this same issue and the same bank. Have any of you had problems like this with your bank? Who is the bank? On November 30th, I will be testifying before the Senate Select Committee on Restoring the Middle Class. I would be interested in your thoughts on what role small business plays on this issue given that we employ almost half of the people in the private sector. Small Business California is working on having the Governor call a meeting with Karen Mills, the SBA Administrator, the FDIC, the Federal Reserve and State bank regulators. The purpose of the meeting would be to have the regulators in the same room with the Governor and Ms. Mills to discuss small business lending. When we talk to bankers they tell us they are caught in the middle. They are being told to give loans to small businesses and then when they do, they get slapped on the wrist by the regulators. Yesterday, I talked to a reporter interested in this and he told me that he had discussed the concept with a bankers association and they were very supportive of this. We also have a request made to Mike Rossi, the Economic Development Czar for the Governor. Recently, it was announced that Walgreens and Anthem were severing their relationship. For those of you with health insurance through Anthem [Blue Cross] how will this affect you and your employees? Please see below statement by Winslow Sargeant on 3% withholding. Note it is being repealed. Thank you Winslow and Advocacy's help on this. I will be going to Santa Monica this week to meet with the CEO of the Entertainment Industry Foundation along with Amy Hamlin, the ED of Volunteers in Medicine. The Entertainment Foundation has been the fastest growing Foundation over the last couple of years growing over 400%. You may have seen their work in the Stand Up2 Cancer campaign where they raised $100 million. Washington, D.C. – Today Chief Counsel for Advocacy Dr. Winslow Sargeant praised Congress’ repeal of the three percent contractor withholding requirement. The requirement would have required federal, state and local governments to withhold three percent of nearly all payments made to contractors, placing a burden on numerous small businesses. By a vote of 95 to 0, the Senate passed the Government Contractor Withholding Repeal Act. The House has already passed a similar piece of legislation. The Office of Advocacy has consistently worked with small businesses for the elimination of this unfair burden. The Chief Counsel called for its elimination in May of this year. The three percent withholding requirement would have adversely affected the accounts all small businesses that provide services to government entities. Most of the small businesses would have had to increase their debt level in order to ensure sufficient cash flows and thus pass these additional expenses on to their government customers. If small firms were unable to secure additional debt, the three percent withholding requirement might force them out of the Federal contracting market. The three percent provision was included in the Tax Increase Prevention and Reconciliation Act of 2005 in an effort to ensure that individuals and companies that receive new payments from the federal government did not accrue tax debt. The law mandated that federal state and local governments with expenditures of more than $100 million withhold three percent of payments for products and services worth more than $10,000. The requirement was scheduled to take effect on January 1, 2013. Please see below for the announcement that President Obama’s health care law will be heard by the Supreme Court with a ruling in July. As you know, this has been going through the lower courts with mixed decisions. The Small Business Innovative Research program will be running out of money November 18, 2011.It appears that the program will be part of a Continuing Resolution to keep much of the government open until Dec 16, 2011. It also appears that there might be a breakthrough in finding a compromise between the House and the Senate in getting an appropriation beyond the Dec 16th timeline. Please drop him a note and tell him the small business community around the country is there for him. Some of you may not be aware that CAL Insurance provides personal automobile insurance and homeowners insurance. In fact, we currently have more than 2,000 automobile and homeowner clients. We are always looking for opportunities to provide the best coverage at the lowest price and I am very excited to tell you that we are now an authorized agent of Hartford to offer AARP automobile insurance through the AARP Auto Insurance Program. Until now, this insurance was only available by dealing directly with Hartford. 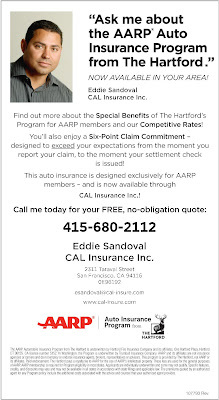 If you are a member of AARP, we think that you can reap huge benefits in having CAL represent you. We can explain the coverage and help you in the event of a claim like we do on your commercial insurance. We can also compare AARP prices and coverage with other insurance companies that we represent. 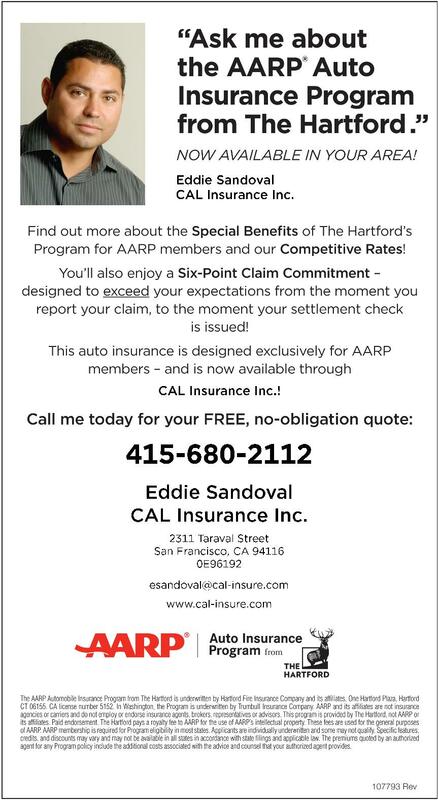 If you are a member of AARP, give Eddie Sandoval a call. As I think most of you know, the California legislators considered a bill to allow for rate regulation by the Insurance Commissioner and the Department of Managed Care[ AB51]. Small Business California did not take a position on this and it has not passed. In Maine, which allows the state to regulate rates Anthem, is suing the state for rejecting their rate filings. The state said that the insurance company could make a profit of 0% in 2009,.5% in 2010 and 1% this year. Anthem is basing their lawsuit on the theory that the state cannot regulate to the point of not allowing a company to make a fair rate of return on their investment. What do you think about this? It should be noted that states can regulate rates in 26 states and there has been legislation to allow state regulation in 7 other states including California. Conference Call with SBA Administrator Mills and the White House – Tomorrow! On Thursday, November 3rd at 5:00 p.m. EDT, please join Administrator Mills from the Small business Administration and Jon Carson, Director of the Office of Public Engagement, for a conference call about the American Jobs Act and its benefits for small businesses in your communities. We ask that you share this invitation with your networks and affiliates. We just received a response to our letter to Administrator Karen Mills at the SBA (click image below to enlarge). There were 14 California Small Business Associations that signed on to this letter, along with Small Business California. The good news is that Regional Administrator Elizabeth Echols has been designated as the point person for SBA. She will lead the efforts to help small businesses in California to find ways to reduce their energy use and reduce their energy cost. You will see in the letter that we will be working on getting out more information about the President’s Better Building Initiative, promoting On Bill Financing with PG&E and Southern California Edison, and expanding On Bill Financing with San Diego Gas. We will also try to find ways to work with public utilities. Do you have any ideas of additional things Small Business California and SBA can do to help small businesses in this area?